If you are thinking of selling silver coins in NYC, you can find many silver buyers in town. However, not all of them are concerned about giving a fair cash for silver exchange. For this reason, it’s essential to find a reputable and trustworthy coin shop. For this reason, NYC Bullion is the best place to sell silver coins in NYC. Our trained precious metal experts guarantee you will receive a top-notch authentication and evaluation of your silver coins in no time. When selling silver, you will be able to see how our skilled professionals handle each of your precious metal pieces, because every step of the assessment process is fully transparent. Through this, we ensure that you stay informed of any details regarding the value of your silver belongings. Our mission is for you to be 100% satisfied and confident with the experience you get when you sell your silver coins. You can be sure that here at NYCBullion, you will be free of any risks associated with selling silver coins – contact us and get an amazing quote for your silver coins today. Worried about finding a place to sell silver coins without getting scammed? You don’t have to worry anymore – NYC Bullion is a high-class trustworthy source to receive cash for your silver coins! More than that, we are located in a very accessible location in the Diamond District, and you can be sure that you will get a comfortable and pleasant experience while selling your silver coins. Here, at NYCBullion, we aim to make the coin assessment process an easy and honest way to evaluate our customers’ silver bullion. Each of our expert jewelers is certified in giving high-class advice and transparent authentication of your silver coins. You can be 100% confident that by coming in our store you will receive all the reliable information about how to sell silver coins. So don’t hesitate anymore – if you decided to sell your silver coins, simply visit us and get a fabulous cash payout! One of the main things that distinguishes great coin dealers in NYC from the regular ones is an exceptional customer service. Very few dealers really care about giving out a fair exchange to their visitors who want to sell silver coins. We are proud to be one of those who treat their customers fairly and ensure that they receive silver as it’s worth. You can get in touch with us simply by completing our online “Get an offer now” form to receive your fair quote, or you can visit us right in the heart of this amazing city – in the Diamond District of Manhattan. Our top-class experts are always ready to provide you any guidance or assessment in selling silver coins. 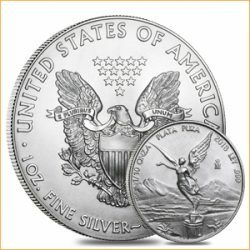 Thinking of selling old silver coins at your local pawn shop? Don’t make this mistake. When assessing old silver coins, it is very important that the person who handles these precious metal investments is truly an outstanding professional. Don’t get overwhelmed by pawn shops which offer you unfair deals – come and visit one of the most reliable coin shops in the city – NYCBullion. We are here to assist you with certified measurement and evaluation of any type of old silver coins. Enter the store, and our experts will be happy to give you the most transparent authentication of your silver belongings. You can be confident that you will get a fair and generous quote that leaves you very satisfied.